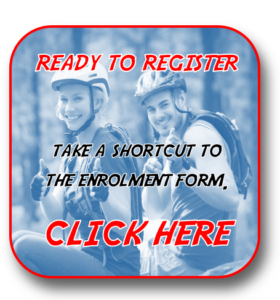 Get Trained and Assessed for a SA Adventure Guiding Based National Qualification. I realised soon enough that the course was going to be money well spent. There was so much information absorbed that it’s difficult to put it all down in writing. The tasks/modules had an aim and that helped tremendously when wanting to set up a business as a Guide and the information I gathered along the way will also help for future planning on Guide trips. Emphasis was focused on safety and the needs of the paying customer. I can now see the value of having to do a course like this to prevent just anybody taking up the profession without proper training and qualifications. It was nice to get a proper qualification for the job I do. To have the papers gives me a bit of additional confidence. Also nice to see the proper way of doing things as a tour guide in the field, gives a clearer standard to which I could measure my efforts. I found the process to be transparent, informative, highly instructive, and relevant. I feel that I am now much more capable of providing service excellence to my valued customers. I feel proudly professional. Thank you for everything. I have found the program a good match between theory and practice. 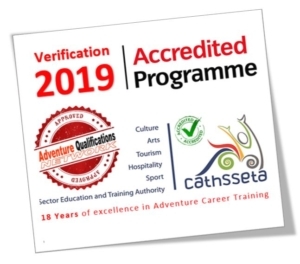 The course highlighted all the aspects to be considered and required to be in the guide and tourism environment and will definitely assist in in managing responsible conduct expected from guides. An engaging, professional course. I definitely enjoyed the experience I gained and the opportunities to test such experience in the field. Thank you to the venture forth team for all the patience and kindness during the full assessment process.. The process was a well conducted and relevant assessments which will assist me in being more efficient and safety aware in work field. It was relevant to my work and therefore not an interruption thereof. Thank you very much for a most informative and enjoyable course and assessment. The process was great. I was clear on all outcomes and was given sufficient time to show competence. I honestly think the material was very good. I learnt a lot. The logic of the material is also obvious and impressed me.